The vast cultural differences across the world give a variety of traditions, rituals and practices. This makes it very interesting to learn and know about the different traditions and cultures that exist today. Christianity and Judaism are the two most prominent cultures. Even if you look at the wedding ceremonies, you will find a lot of similarities but even some differences. These differences make the two very different from each other. Let us look how the two can be so similar but different from each other. The words I DO is the affirmation given by the bride and groom in Christian Wedding. However, in the Jewish tradition, the bride is silent while the groom recites the marriage statement. This happens more frequently in authentic traditional weddings. Another prominent ritual in a traditional Jewish wedding is the breaking of the glass. As per the ancient practices, it is said that it wards off the evil eye that may fall upon the newlyweds. The wedding location plays a vital role in both the weddings. In a Jewish wedding, the main ceremony often takes place on wedding locations, outdoors, or in a synagogue. However, the Christian wedding is generally conducted in a chapel or church. The wedding party between the two is very different. In the Christian wedding reception, apart from one or two basic traditions like the first dance, the rest is all fun. On the other hand, in the Jewish ceremony, even the dance signifies a particular tradition. Even during the wedding reception, a lot of mini traditions and rituals are followed. The traditional Jewish wedding music is very entertaining. In a Christian wedding, the groom waits in front of the alter; while the bride walks down the aisle. In the Jewish wedding, the huppah bearers mark the beginning of the ceremony. The cantor or rabbi then follows it and the groom’s men follow him. The parents of the groom and the groom himself come later on, followed by the bridesmaids. The bride and her parents come at the end. In both cultures, in order to get married, the future couple has to reserve the venue well in advance. 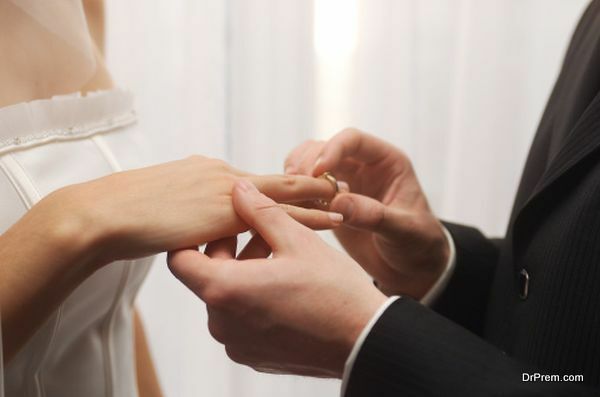 In a Christian wedding, although weekends are the preferred days to get married, however it can happen during any time of the day. On the other hand, in the case of a Jewish wedding, certain guidelines have to be followed. The weddings are not conducted during the waning period of the moon. Apart from that, Jewish weddings do not take place on any fast days, festivals or during the Sabbath time. Tuesday is considered as an auspicious day for the weddings. 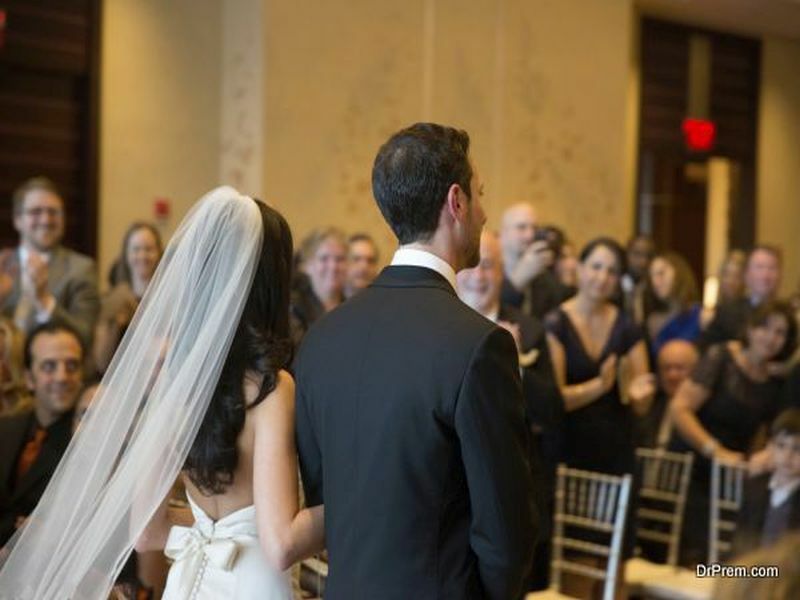 In both the Christian and Jewish traditions, the wedding is a person’s most memorable moment. The method in which the wedding takes place is different from each other. The theme of the wedding party, the venues, the taking of the vows or even the preferred days and time differ. 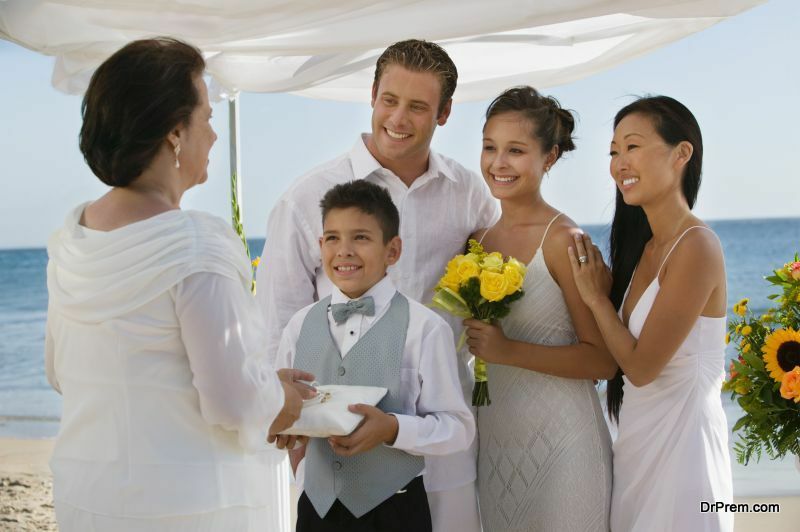 While Christian weddings are more flexible and do not have much guidelines to follow. 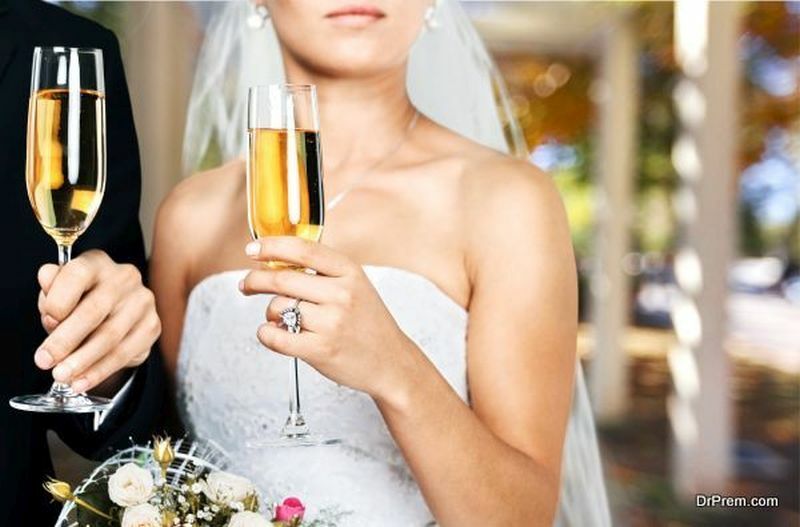 In the case of a Jewish one, there are a lot of guidelines and rituals that are followed before, during and after the wedding. These minor aspects make the two cultures so different even though there are many fundamental similarities between the two.